Menial tasks like feeding, washing, and dressing ourselves are tasks many of us as adults don’t have to think twice about – if you’re not desperately hungover or retreating into the cesspit of your mind on a particularly bad mental health day – but they’re things that require a level of bodily and mental skill. Computer scientists at the Georgia Institute of Technology are working on AI that can dress itself, in an attempt to create a system that could dress people who struggle with doing so, such as those with particular disabilities. As Gizmodo originally reports, they’re using reinforcement learning to teach animated bots to put on virtual t-shirts and jackets. This means the AI bots are given a goal – like being able to put on a shirt – and gain points for doing well (putting its head through a collar, pulling down a sleeve) while losing points for not (ripping something, or getting it on the wrong way). The project, led by PhD student Alexander W. Clegg, has proved challenging – the AI bots are still pretty awkward, and there’s a lot of virtual clothes-tearing and bad tangles. This study has been exclusively about upper body dressing, as lower body dressing needs a totally different system. While other studies into AI have made systems successfully beat humans at chess, make memes and write movie scripts, it’s proven pretty complicated to teach the more menial tasks. Ex Machina made things look much easier – Kyoko was, pretty disturbingly, programmed to undress herself, while Ava donned a dress and wig to expertly blend in with humans. 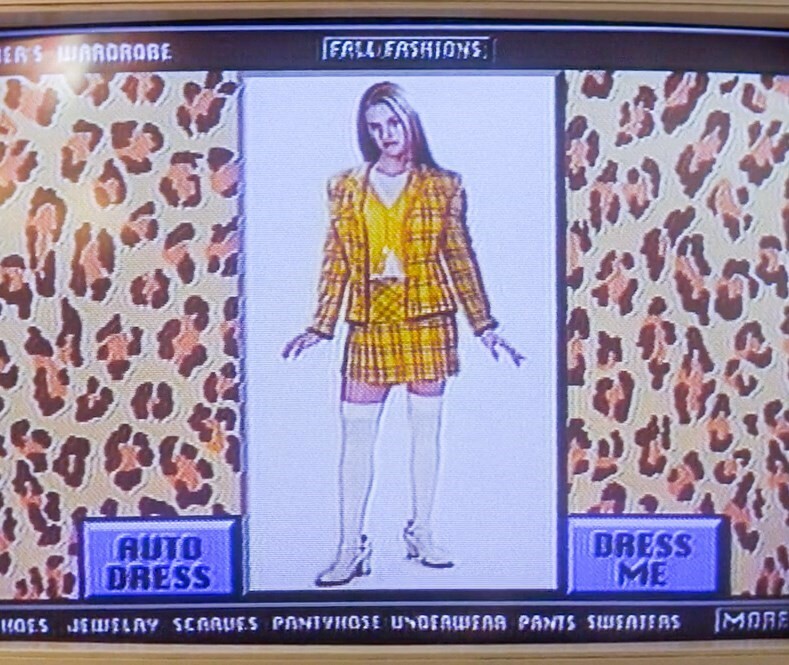 Though, there is a virtual AI wardrobe assistant out there just like the one Cher Horowitz has in Clueless.